What ever happened to the good old clothes pin? I remember as a young girl the smell of clothes hanging outdoors in the Summer air being held onto the clothes line by clothes pins. I KNOW this makes me sound like I’m a 100- but stay with me for a moment to think about air drying your garments outdoors (which P.S. in the day was not only environmentally savvy but when you brought your clothes indoors they had the most lovely scent of summer-a wisp of floral and fresh air-it was heavenly). 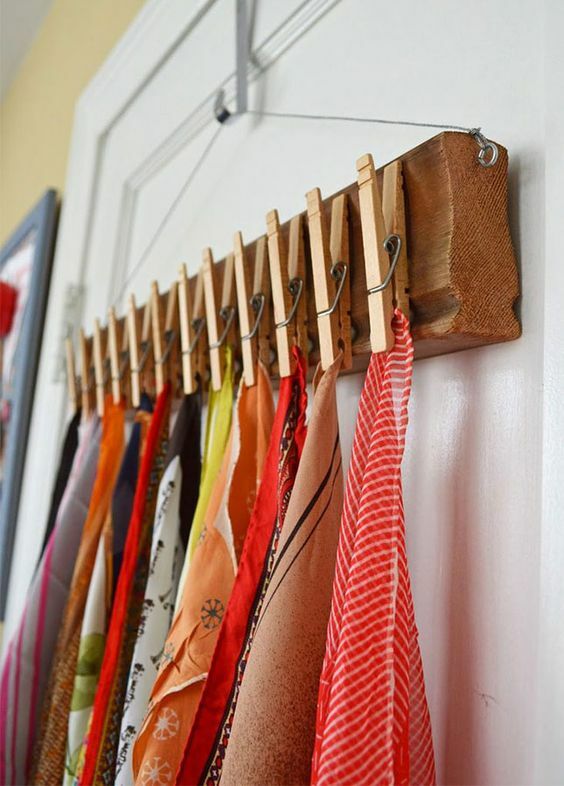 When I came across this perfect way to display your scarves I went nostalgic for a simpler time when clothes pins were a laundry room staple and life was a tad simpler. 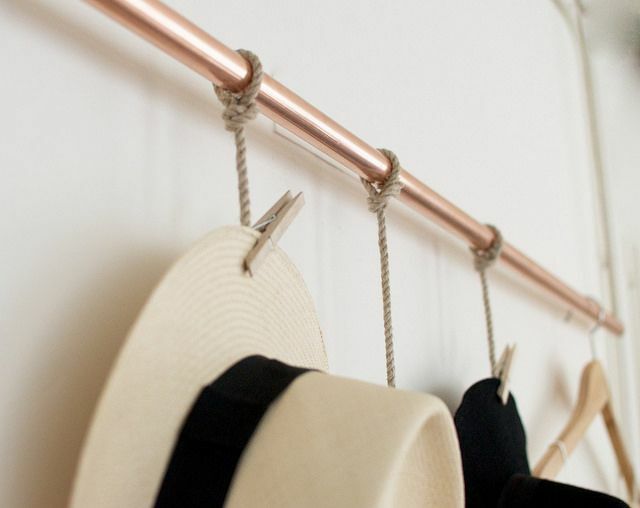 Maybe it’s time to bring back the clothes pin and hanging our garments out to dry when the weather gets warm. Just a thought-but a nice one at that. For an Instant Update-here are a few ways to insert the clothes pins of yesterday for multiple uses TODAY! 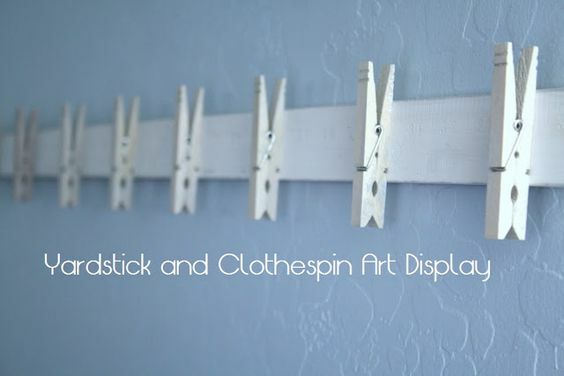 1 yard stick +1 bag of clothes pins+1 can spray paint= Instant hanging fixture.